Did you know?You can make a few bucks simply by writing and posting articles on Steemit? Today I’m going to teach you how to blog and make money with steemit. So What Is Steemit All About? You Might Ask; How Do I Really Get To Blog and make Money With Steemit? So grab a cup of coffee or your favorite fruit juice lets learn something new today. Disclaimer: I would like to point out that I have not personally tried this. I’m not an active member, but I have a friend who is and considering the fact I love delivering different offers to our door step as to ways to make money online and expand our income, I figured this might just be worth trying and could be the next evolution in social networking. According to Wikipedia, Steem it is a social news service which runs a blogging and social networking on top of a block chain database, know as Steem. The Steem token is the networks base token, it’s traded on multiple crypto-currency exchanges and markets. Steemit has been in existence for over a year: it was launched July 2016. It’s no different from Reddit, Facebook and the likes, but here you get paid simply by posting articles, photos etc. (original contents obviously). Research has it that the value of the STEEM crypto-currency has dropped a little yeah!, but you can still easily get a few bucks per post. Steemit users get paid every 24 hours or so. These pay are of 2 different kinds, called Steem Power and Steem Dollars. You can find out everything you need to know about Steemit here. Raphael Locsin of business.com also covered it extensively here. So what are you waiting for? 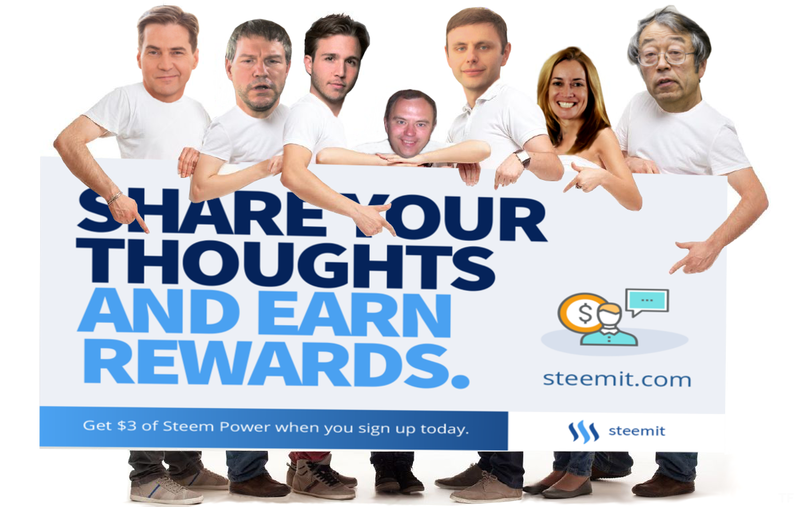 Fire up your browser, Join Steem it today (this is not a referral link); You can make money just by been active on the site posting articles, commenting, up voting contents and by gaining Steem power. Promote your post in the Steemit chat forums and also Facebook groups and also use some popular tags as well (but don’t span it as you could get down banned for tag abuse). When cashing out, you’ll have to convert the Steem crypto-currency to bitcoin first (for instance on an exchange site like Poloniex and then exchange the bitcoin for your desired currency. 1 Response to "Steemit Guide – How to Blog and Make Money (Earn Bitcoins) with Steemit"